Wise Owl’s ‘Food State’ Vitamin B Complex contains all of the essential B-Complex Vitamins at 100% of the nutrient reference value, along with specific non-B vitamins to optimise its performance. Made using whole food nutrients. Suggested dose is 1 tablet daily, so this is a 2 month supply. Why use a Vitamin B Complex? 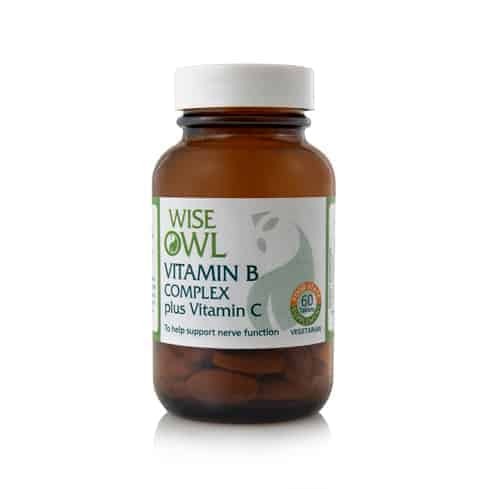 Wise Owl's 'Food State' Vitamin B Complex is made using whole food nutrients & contains all the essential B-Complex Vitamins at 100% of the nutrient reference value, including: B1 (thiamine), B2 (riboflavin), B3 (niacin), B5 (pantothenic acid), B6 (pyridoxine), B7 (biotin), B9 (folic acid), B12 & Vitamin C.
It uses a natural carrier to helps give optimal absorption & utilisation of the nutrients. It also includes several non-B vitamins, specifically Vitamin C & the mineral Magnesium, which work with the B vitamins to optimise their performance. B vitamins may aid anxiety, depression & stress. The nutrients in B vitamins can also help the memory, combat toxins, reduce risk of heart disease & support premenstrual symptoms. The vital nutrients in vitamin B can boost the body’s natural energy alongside the immune system & help with insomnia. This Food State supplement contains all of the essential B-Complex Vitamins at 100% of the nutrient reference value (NRV), and also includes several non-B vitamins, specifically Vitamin C and the mineral Magnesium. Comes in a small, easy to take tablets. Food State Vitamin C is included in the formula because it prevents the oxidation of vitamins B1, B2 and B5. The mineral Magnesium is present as it works with B-Complex Vitamins to support the nervous system. The B-Complex nutrients Choline and Inositol are beneficially included in this supplement. Choline serves as a co-enzyme in the metabolism of the B vitamins. Inositol is closely involved with the b-complex vitamins B6, folic acid, pantothenic acid and PABA, and is associated with the metabolic pathways of these B vitamins. This supplement comprises a food base of ‘lactobacillus bulgaricus’ a native and friendly bacterial inhabitant of the human GI tract. As this bacteria fits into normal metabolic pathways it acts as a natural carrier to helps give optimal absorption and utilisation of the nutrients. 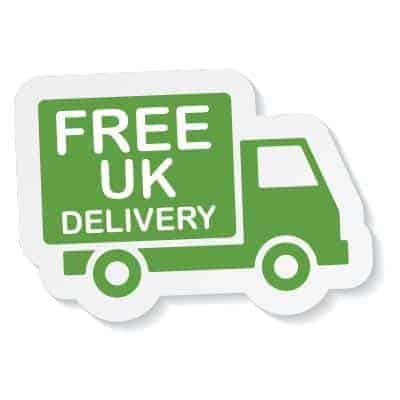 Suitable for: Men, women, children and the Elderly, including vegetarians and people with candida and yeast sensitivities. Product Ingredients: Vitamin C incorporated in citrus pulp; Lactobacillus bulgaricus providing magnesium, inositol, para-amino-benzoic acid, niacin, pantothenic acid, vitamin B6, riboflavin, thiamin, vitamin B12, choline; yeast concentrate* providing choline, biotin, folic acid; vegetable stearic acid; tablet coating: vegetable cellulose. Product Non-Actives: Vegetable stearic acid, vegetable cellulose.